Cargo facilities developer Aeroterm breaks ground on a new Class A, 4,680 sqm multi-tenant facility at Cincinnati/Northern Kentucky International Airport (CVG) in which FedEx will be the anchor tenant. There has been a strong increase in passenger traffic, belly cargo and GSE support at CVG Airport in recent years, Aeroterm notes. In 2018, for the first time in its history, CVG experienced annual cargo tonnage of more than 1.09 tonnes, an increase of 19.6 per cent over 2017. 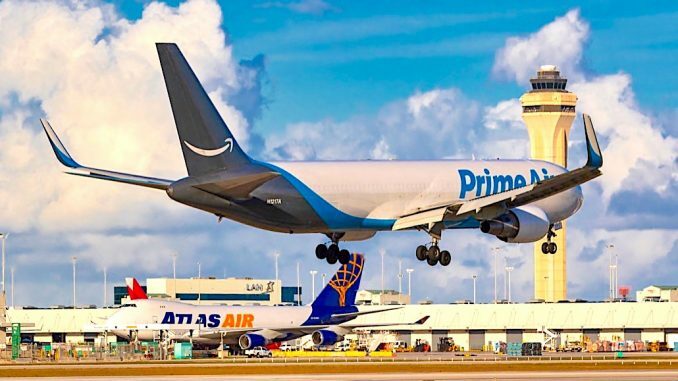 These numbers will be given a boost when Amazon’s new Prime Air cargo hub at CVG will be completed in 2025. DHL also operates a global hub out of the airport. The LEED certified, energy efficient building features insulated pre-cast concrete panels and will be used for airside cargo operations. The facility can accommodate cargo, GSE users, and other terminal support users such as flight kitchens or commissaries. Aside from FedEx there is currently 1,115 sqm of vacant space for an additional one or two tenants, according to Aeroterm. The new Aeroterm facility at CVG will be completed in November 2019. In addition to its facility at Cincinnati/Northern Kentucky International Airport, Aeroterm is currently working on air cargo development at John F. Kennedy International Airport (JFK), Miami International Airport (MIA), and the latest phase of an air cargo development at Chicago’s O’Hare International Airport (ORD).